1. Which of the following was NOT a root cause of the American Revolution? Enlightenment ideas, the enforcement of new taxes and trade regulations, and the British government's control over colonial legislature all contributed to the growing dissent. However, the Parliament's decision to repeal the Stamp Act was favored by the colonists, and the repeal alleviated, rather than stoked, unrest—albeit temporarily. 2. What did the Currency Act of 1764 prohibit the colonists from doing? The Currency Act of 1764 extended the restrictions of the Currency Act of 1751 to all 13 of the American British colonies. While it eased the earlier Act’s prohibition against of the printing of new paper bills, it did forbid the colonies from using any future bills for payment of public and private debts. As a result, the only way the colonies could repay their debts to Britain was with gold or silver. As their supplies of gold and silver rapidly dwindled, this policy created severe financial hardships for the colonies. 3. What was the name of the protest group that carried out the Boston Tea Party? 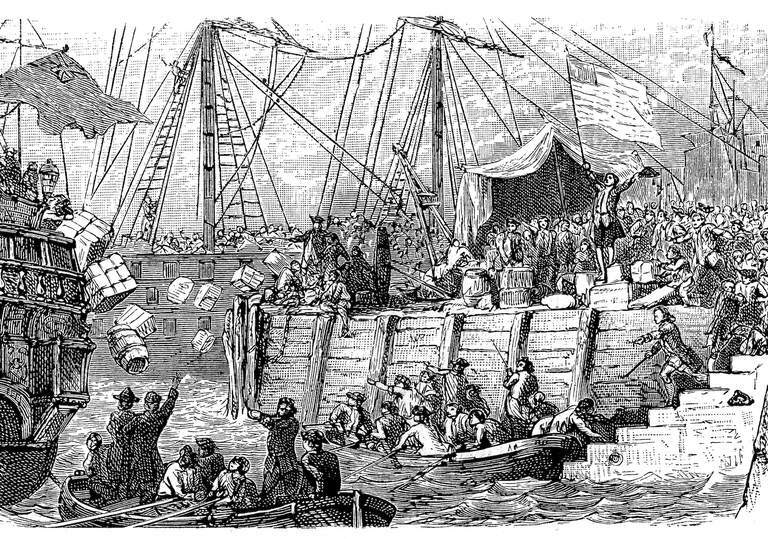 The Sons of Liberty carried out the Boston Tea Party on December 16, 1773. The Liberty Tree is the name of an elm tree where protest groups gathered after the Sons of Liberty formally disbanded. The Founding Fathers is a term first used in the 19th century to describe the seven key figures in the drafting and execution of the United States' founding documents. The Daughters of the American Revolution is a service organization comprised of descendants of individuals involved in the campaign for American independence. Great work! You clearly understand the root causes of the American Revolution. Get ready to learn about some of the key events of the war.